Here at Clarke Maintenance Services we have a team of experienced plumbers. Our team of plumbers can fit you a new boiler, bathroom, kitchen or even a new central heating system. We can come out and check that your boiler is safe and that it isn’t faulty and isn’t leaking carbon monoxide. Not only do we perform regular checks on your boilers, but we can even install you a brand new bathroom fitted to your water pipes if needed. 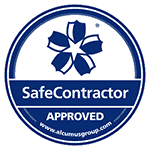 With our plumbers working on your property you can be sure that your property is in safe hands. If you would like more information on our plumbers, or you would just like to know more on our other services, then please don’t hesitate to get into contact with us and a member of our friendly team will be in touch with you shortly.